Distinctively marking the labels of this terroir-specific wine line is a dramatic four-armed Visigoth symbol dating to the 7th century. Later known as the Languedoc Cross or Cross of the Cathars, the four elements and twelve points of the zodiac represent the perpetual rhythms of time and nature. The vintner’s apt emblem also includes two doves drinking from a single cup–expressing both sharing and communion. 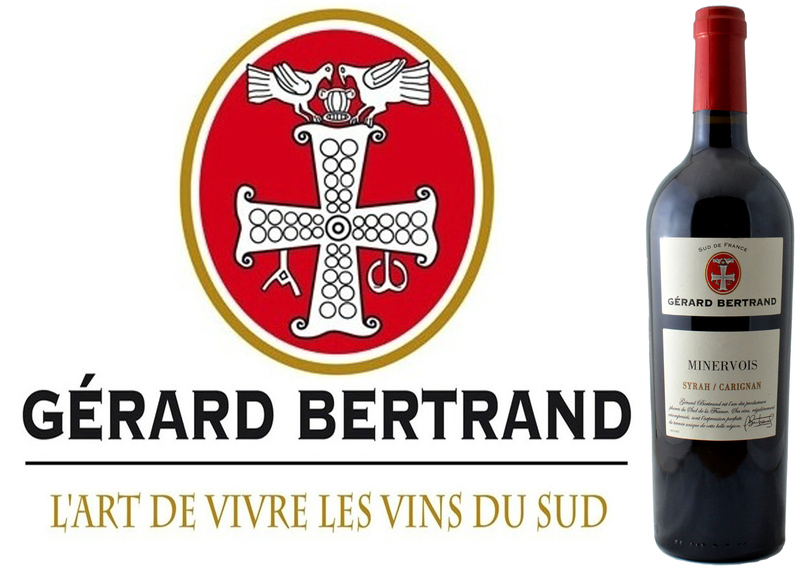 Begun by Georges Bertrand, a winemaking pioneer in the Languedoc region who diligently built a spirit of cooperation among the local growers of south-western France in the 1970’s, the Bertrand winery has consistently been at the forefront of quality development for an impressive range of regional wine styles. The multi-generational philosophy is being carried forward by the founder’s son, Gérard Bertrand, with an expanding portfolio of ten estates, 550 hectares of vineyard and production facilities based in Narbonne–the onetime capital of a prosperous Roman coastal province called Gallia Narbonensis. One of the world’s most extensive wine growing regions, Languedoc is a Mediterranean landscape of windswept scrubland with the geology of greyish-white, calcium-rich limestone. The eroded soils of this ancient seabed make for a rich base where wild lavender, thyme, and undulating rows of gnarled Carignan, Cinsault, Grenache Noir, Syrah and Mourvèdre grapevine thrive. 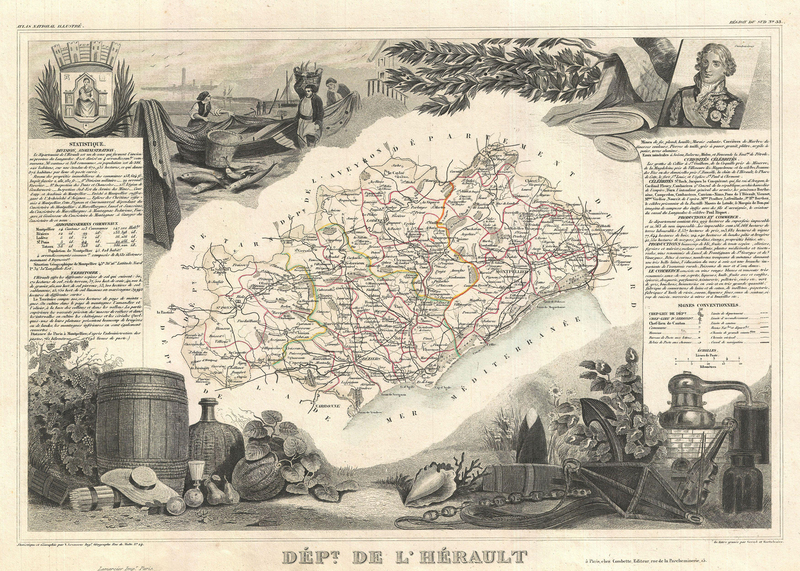 As with the land’s nature, the AOC wine regulations of this free-spirited region are somewhat less stringent than in the neighbouring Burgundy or Bordeaux appellations to the north; allowing for the cultivation of a broader range of vine varieties and blending proportions. The Minervois sub-region in Languedoc benefits from a relatively hot climate that’s bordered by the clay and schist soils around the Canal du Midi to the south and the stony limestone slopes of Montagne Noire to the north. These factors in the terroir infuse a distinctive flinty character into the finished wines. That’s very much the case for this DéClassé recommended Gérard Bertrand Minervois Syrah/Carignan 2015. To soften the steely edges, the Syrah and Carignan grapes had undergone a malolactic fermentation before the blended batch was aged in 225-litre Bordeaux oak barrels for eight months and then rested in bottle for another year. Though you will find many offerings from this prolific vintner on the regular shelves of the LCBO, note that this particular release is only stocked in the Vintages section, in a limited volume that historically sells out quickly. During the warm months ahead, dare to try this ripe and fruit-forward red slightly chilled! This somewhat earthy red wine, with its dark fruit flavours accented by olive and coffee notes, also has a robust body and structured tannins. Best with foods such as a marinated grilled brisket, basted ribs, veal meatballs in a piquant tomato and olive sauce, fire roasted vegetables or with stronger cheeses, Spanish Jamón Serrano and sausage appetizers. Distinctively marking the labels of this terroir-specific wine line is a dramatic four armed Visigoth symbol dating to the 7th century. Later known as the Languedoc Cross or Cross of the Cathars, the four elements and twelve points of the zodiac represent the perpetual rhythms of time and nature. This vintner’s apt emblem also includes two doves drinking from a single cup–expressing both sharing and communion. 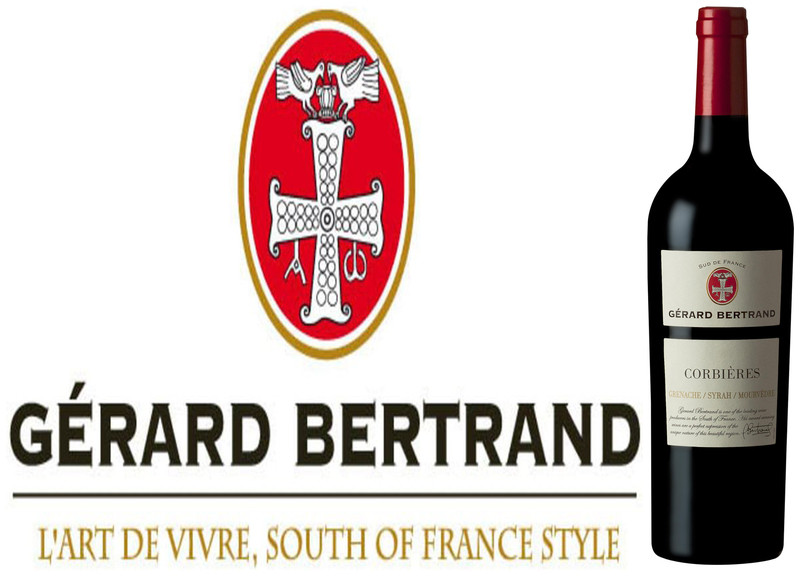 Begun by Georges Bertrand, a winemaking pioneer in the Languedoc region who diligently built a spirit of cooperation among local growers in the 1970’s, this benchmark winery has consistently been at the forefront of quality development for an impressive range of regional wine styles. The multi-generational philosophy is being carried forward by the founder’s son, Gérard Bertrand, with an expanding portfolio of 10 estates, 550 hectares of vineyard and primary production facilities based in the city of Narbonne, the onetime capital of a prosperous Roman coastal province called Gallia Narbonensis. One of the world’s largest wine growing regions, Languedoc is a Mediterranean landscape of windswept scrubland with a geology of greyish-white, calcium-rich limestone. The eroded soils of this ancient seabed make for a fertile base where wild lavender, thyme, and undulating rows of gnarled Syrah and Grenache grapevine now thrive. As with the land’s nature, the AOC wine-producing regulations of this free-spirited region are somewhat less stringent than the neighbouring Burgundy or Bordeaux appellations to the north; allowing for the cultivation of a broad range of vine varieties and blending proportions; with these two starring grapes providing the backbone. In the hot climate of southern France, Syrah tends to ripen ahead of its blend partner so gets vatted in whole bunches first, while harvesting of the Grenache catches up later on. Once combined, they’re transferred to large 225-litre Bordeaux oak barrels to age for at least ten months. 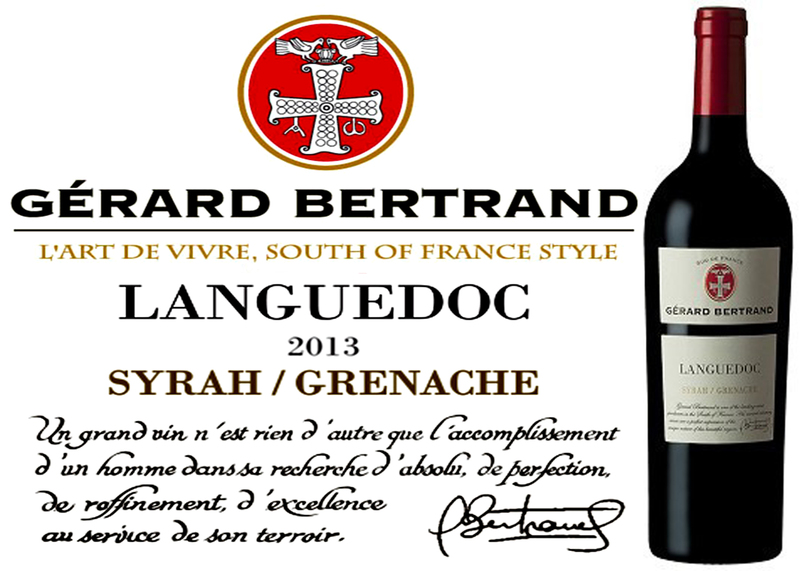 For this DéClassé recommended, Languedoc Syrah/Grenache 2013, it’s also rested in bottle for over a year. Though you will find many offerings from this prolific vintner on the regular shelves of the LCBO, note that this particular release is only stocked in the Vintages section, in a limited volume that historically sells out quickly. With warmer days ahead, dare to try this ripe, fulsome, fruit-forward red slightly chilled! This fairly spicy wine, with its zippy ginger and liquorice notes, also has a fruity body and mellow tannins. Best with foods such as a marinated grilled brisket, veal meatballs in a piquant tomato and olive sauce, fire roasted vegetables or with stronger cheeses, Spanish Jamón Serrano, and sausage appetizers. Gérard Bertrand, now has its primary facilities based in Narbonne. surface cover of stone pebbles, providing good drainage and healthy root stock. they remain comparatively inexpensive and outstanding value. houses, completes the complex picture. in the Vintages section and represents a value well above the sticker price!